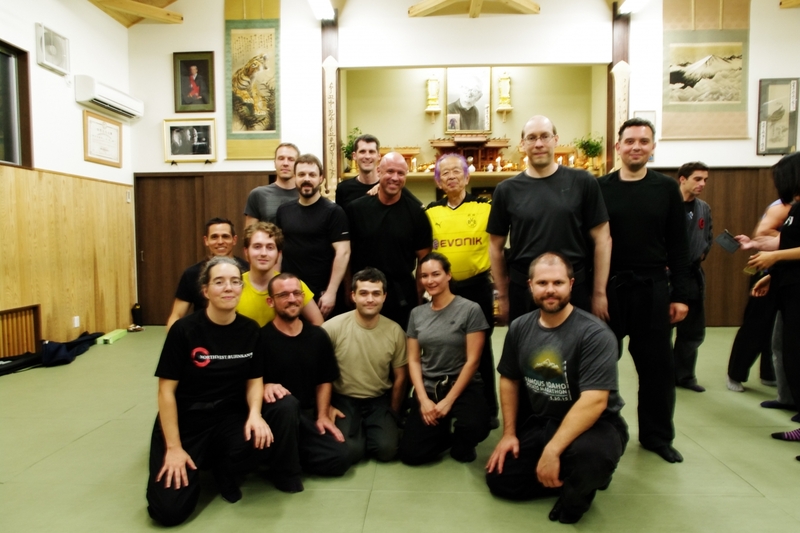 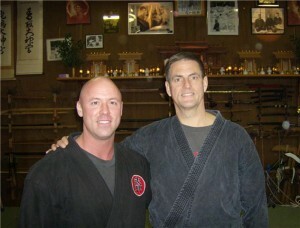 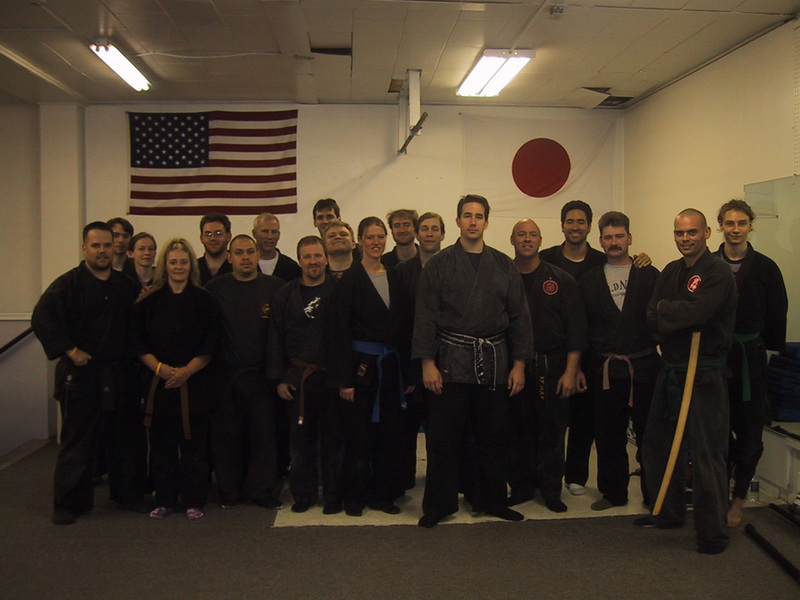 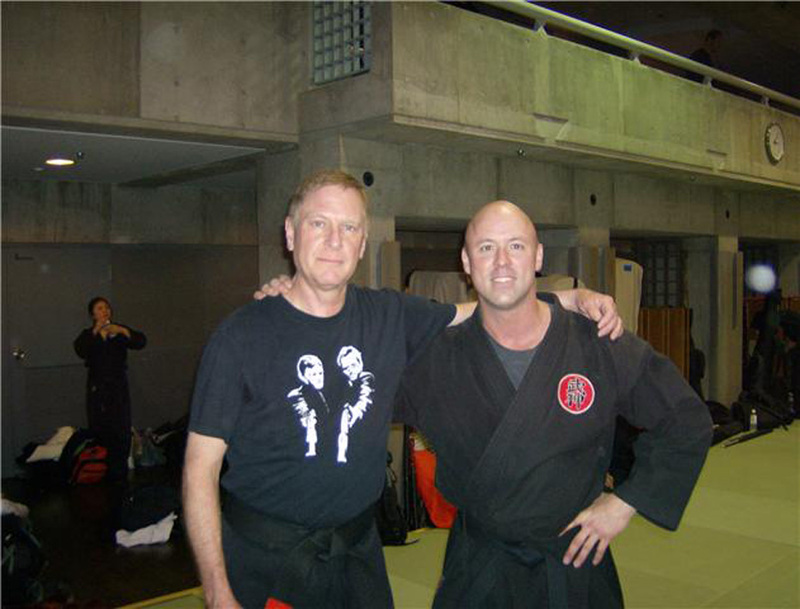 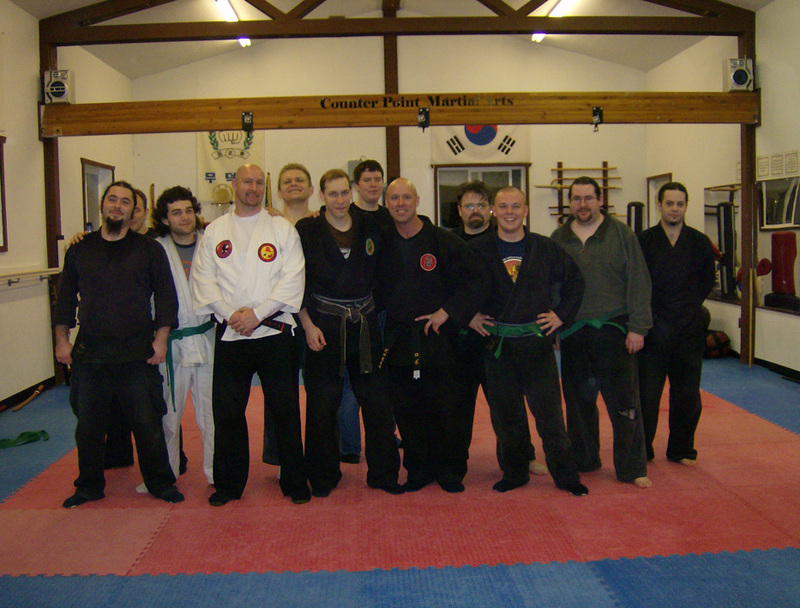 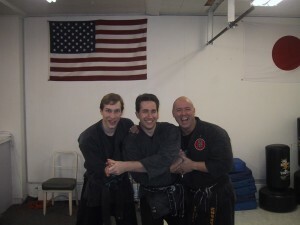 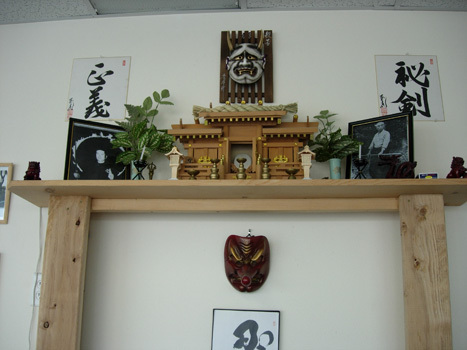 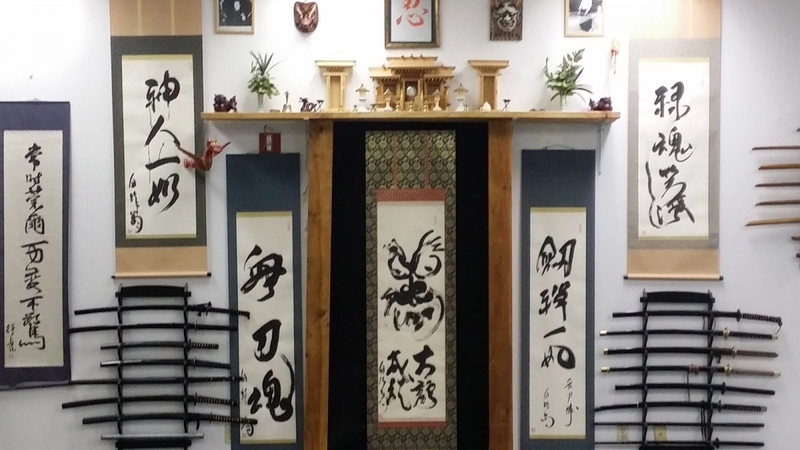 Based in Portland, Oregon, he has been training in the martial arts for over 35 years – with over 25 of these in the Bujinkan. 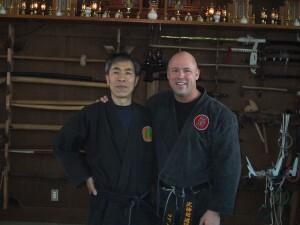 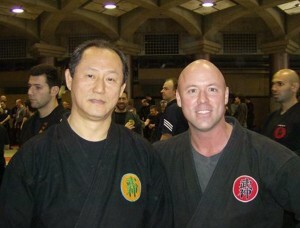 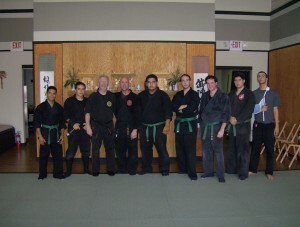 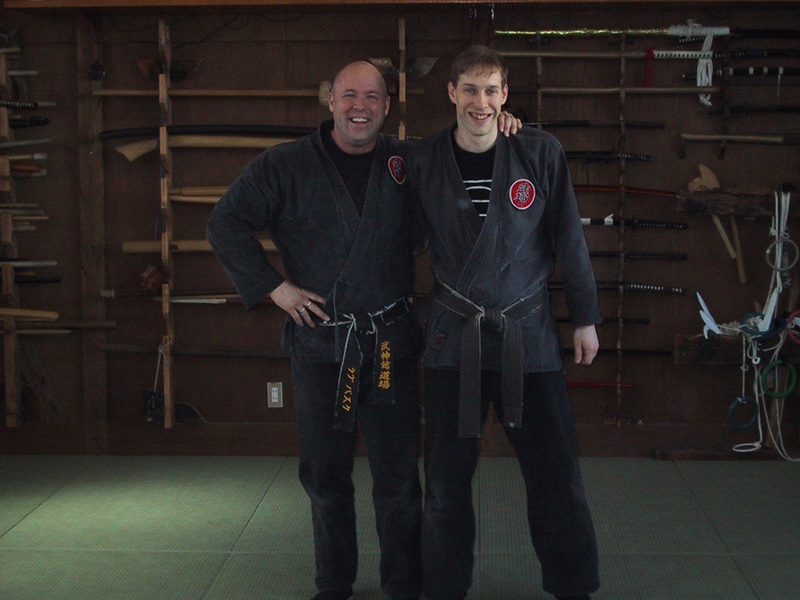 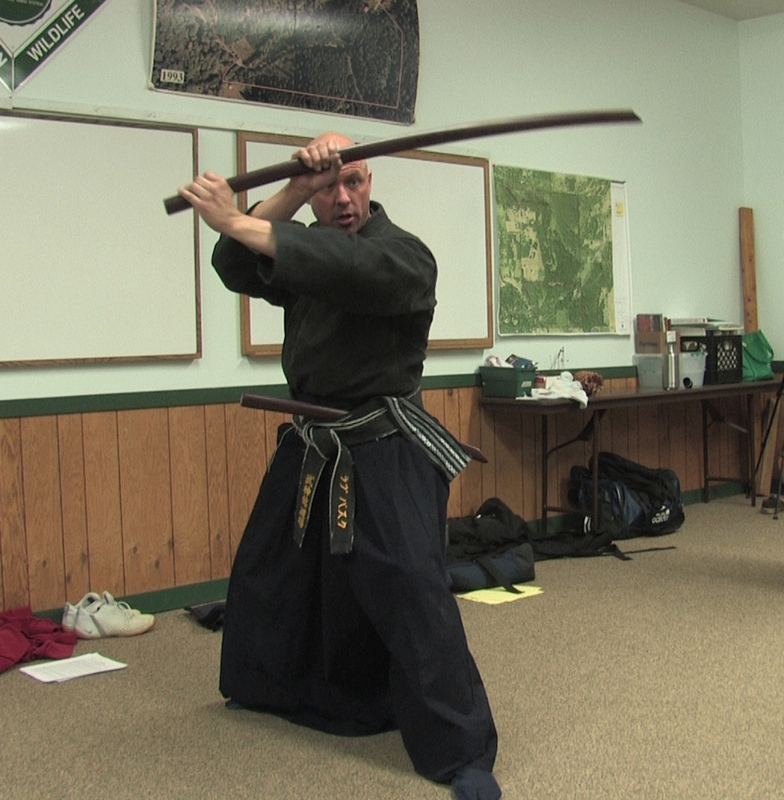 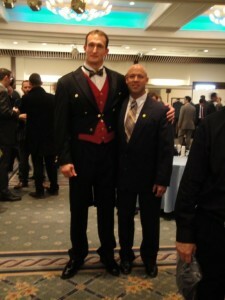 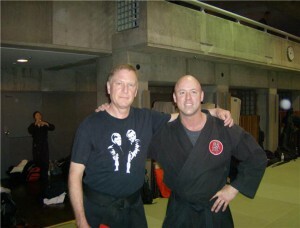 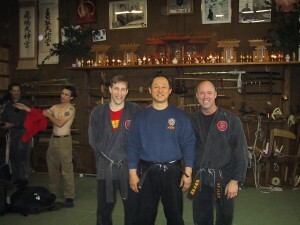 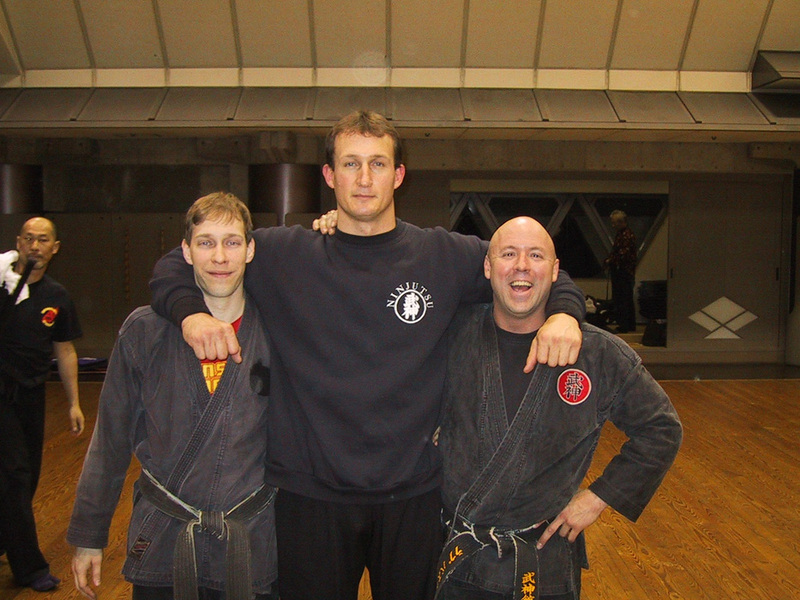 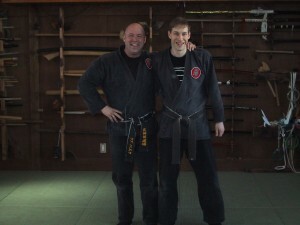 He is a Bujinkan Shidoshi (licensed instructor), and currently holds the rank of Jugo dan (15th degree) black belt. In addition, Rob Sensei also holds a 2nd degree black belt in Tae Kwon Do, and has trained in the arts of Escrima, Kali, Karate, Judo, Jujutsu, kickboxing, Kendo, and boxing. 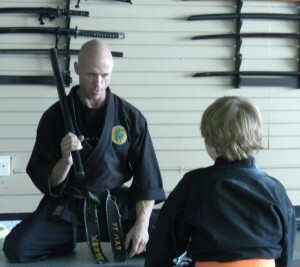 Rob Sensei’s teaching career began in 1986. 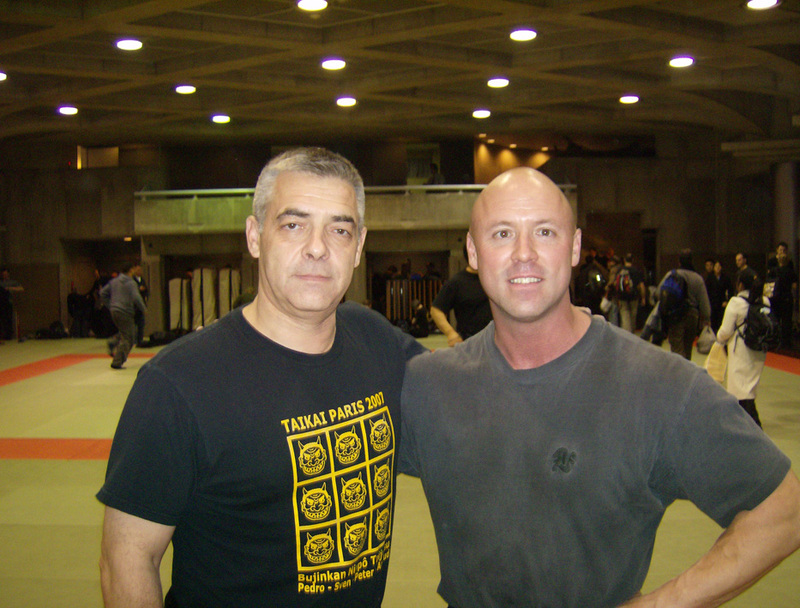 Since that time he has taught various divisions of local and federal law enforcement, military service members, special security operations teams, SORT team members from state and federal corrections departments, and over a thousand individual men, women, and children. His vast experience in training special-operations teams has won him high acclaim among elite, military training groups. 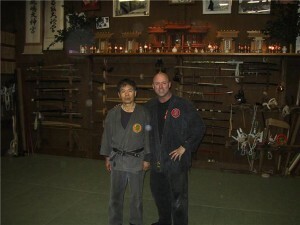 His unique ability to create and impart customized applications to his students has earned him an unrivaled teaching reputation in the field. 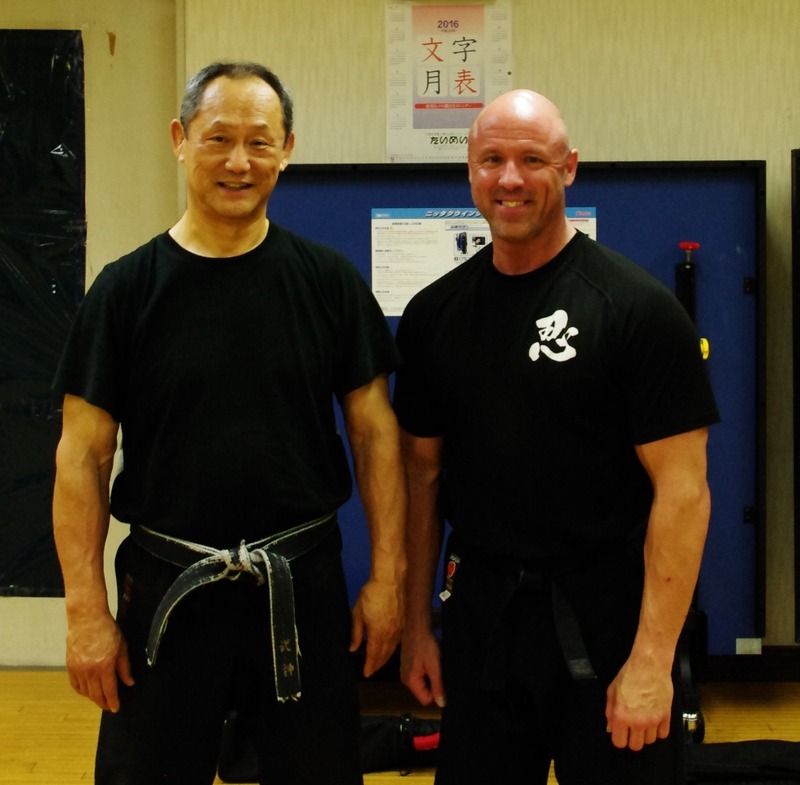 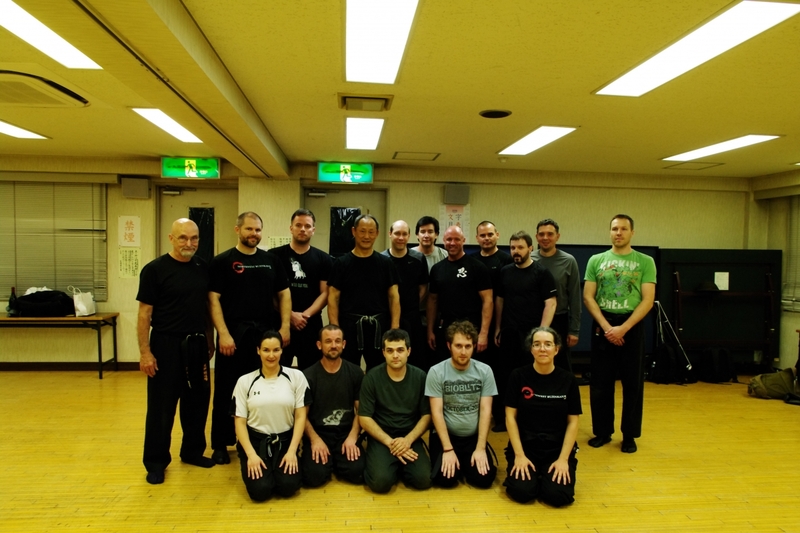 Rob Sensei travels regularly to Japan to train directly with Grandmaster Hatsumi Sensei (Soke), and with the Japanese Shihan (master instructors) of the Bujinkan. 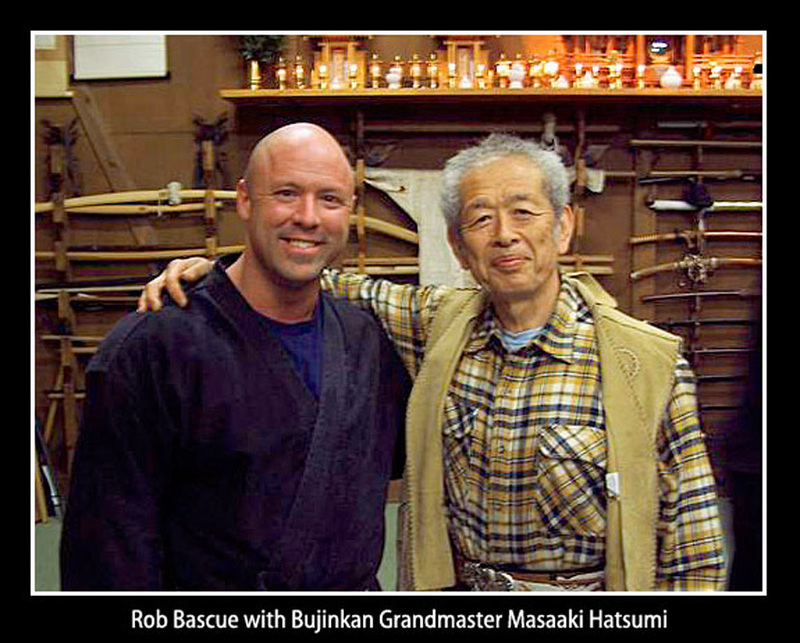 The Bujinkan is an international organization created by Dr. Masaaki Hatsumi, referred to as the current “Soke,“ or Grandmaster. Hatsumi Soke is the 34th grandmaster of each of the nine Ryu Ha (schools), whose roots derive from the martial survival techniques of ancient, feudal Japan. The nine traditional Ryu Ha vary from one another in teaching concepts and physical techniques. 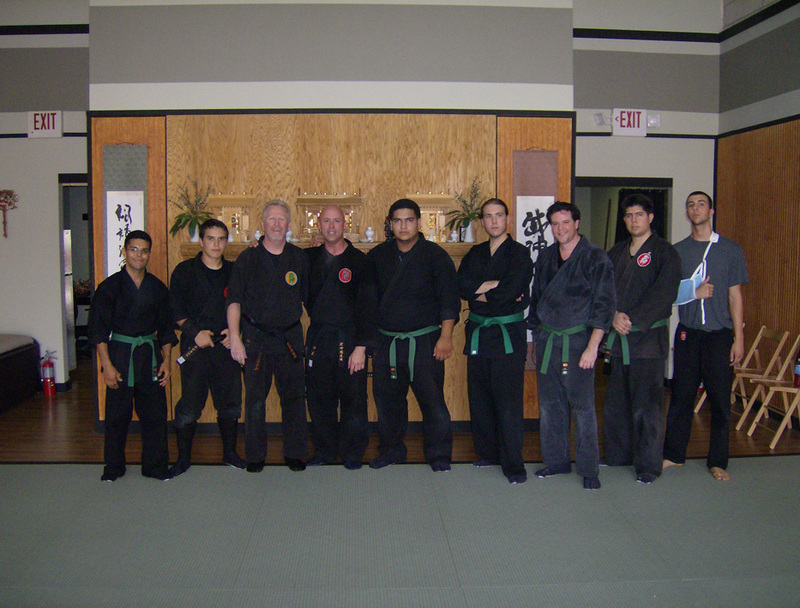 However, all of the schools have a documented history of effective application spanning up to a thousand years, and beyond. 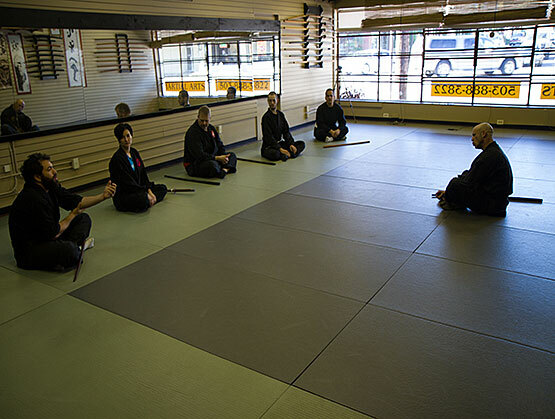 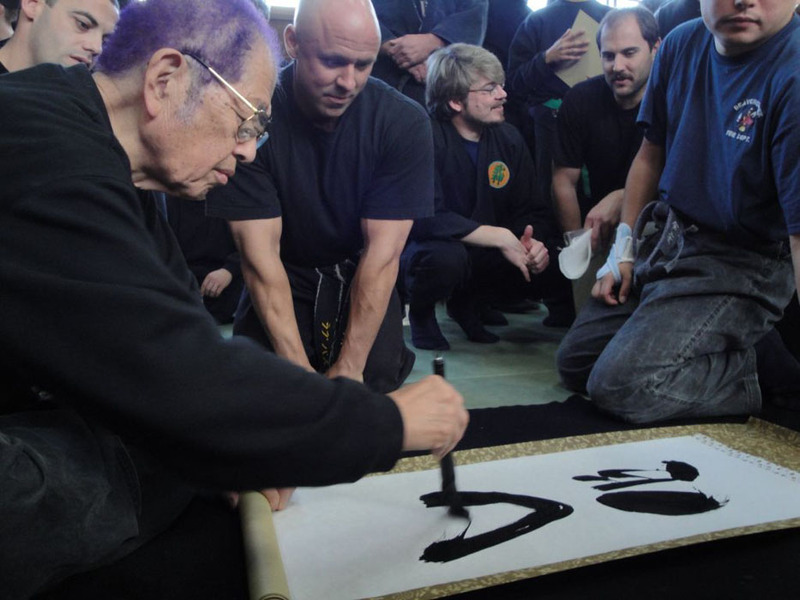 The Ninjutsu martial art taught by Bujinkan-licensed instructors today represents traditions which can be proven to have survived and passed down from the original nine Ryu Ha. 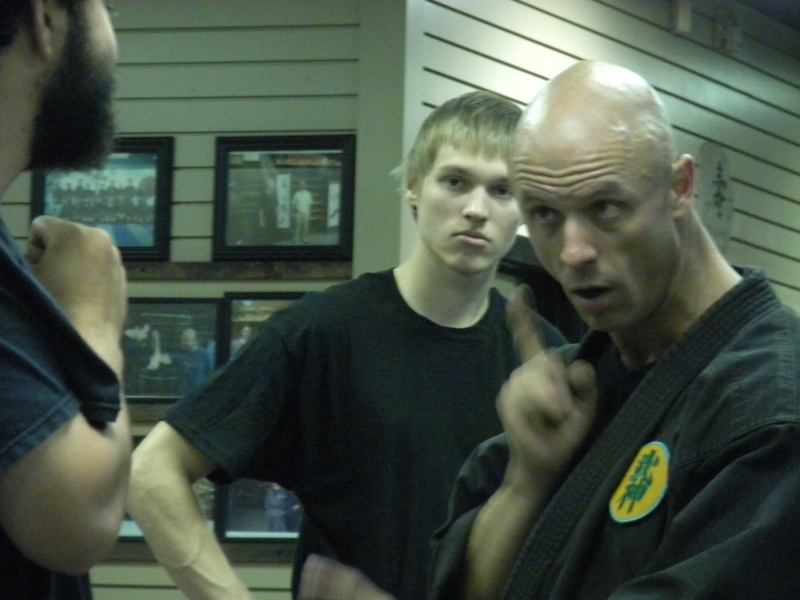 Ninjutsu was developed specifically for personal survival under desperate, war-ridden circumstances. As such, the nine schools originated the unique concepts of striking (as in Karate), throwing (as in Judo), locking and momentum (as in Aikido), and of the soft and hard-tissue attack combinations of Jujutsu. 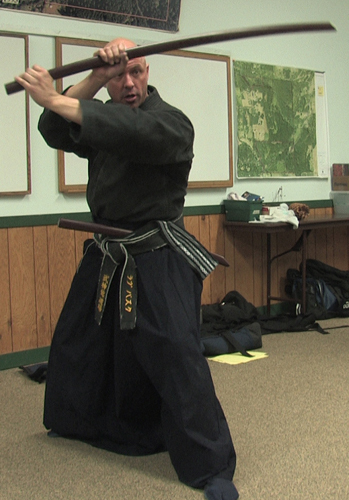 They also developed and refined the effective use of nearly 20 basic weapons. 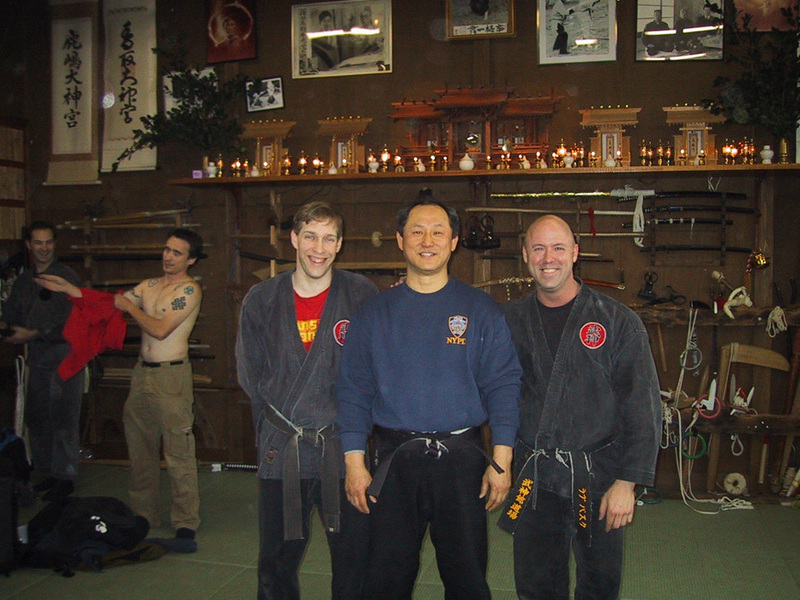 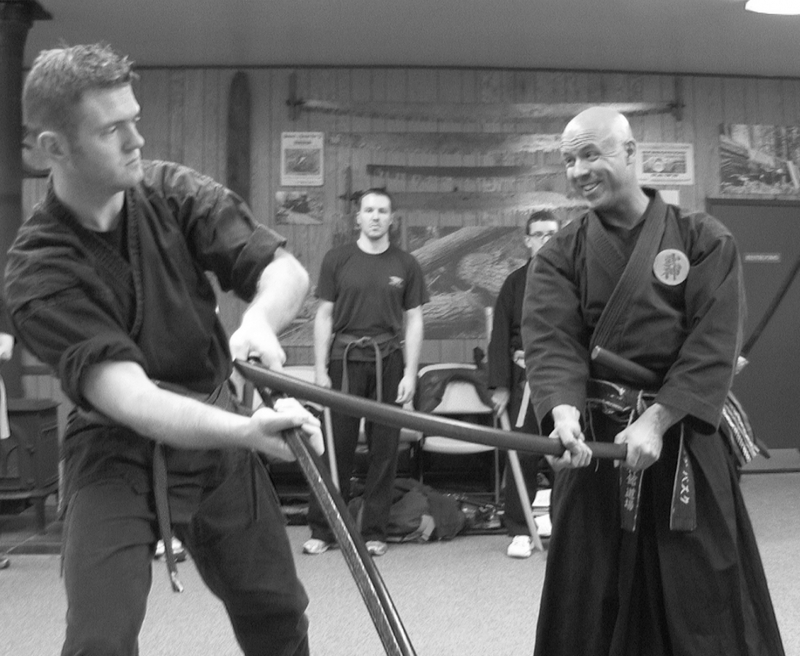 In the Bujinkan, practitioners train to survive; the concept of sport or competition does not apply. 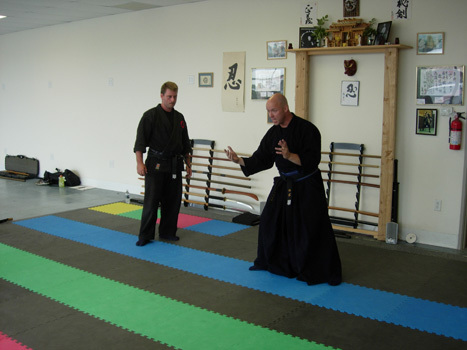 “I believe that Ninpo, the higher order of Ninjutsu, should be offered to the world as a guiding influence for all martial artists. 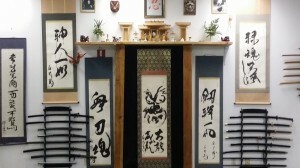 The physical and spiritual survival methods eventually immortalized by Japan’s ninja were, in fact, one of the sources of Japanese martial arts. 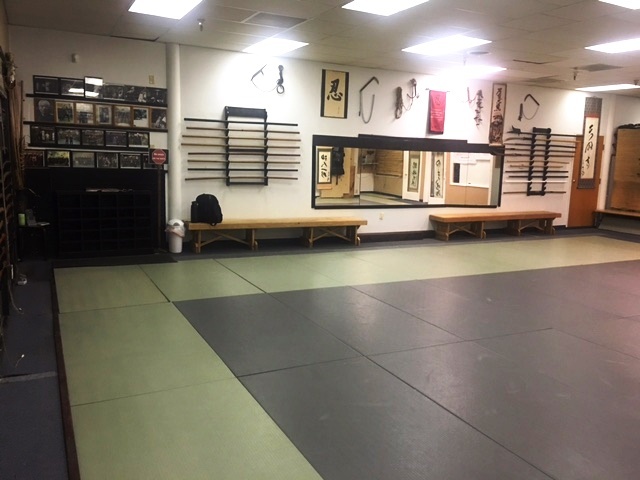 Without complete and total training in all aspects of the combative arts, today’s martial artist cannot hope to progress any further than mere proficiency in the limited set of muscular skills that make up his or her training system. 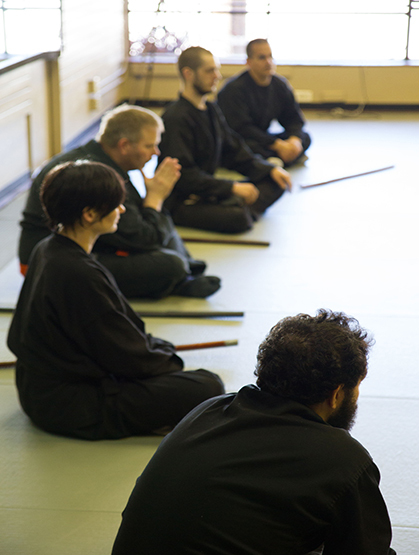 Personal enlightenment can only come about through total immersion in the martial tradition as a way of living. 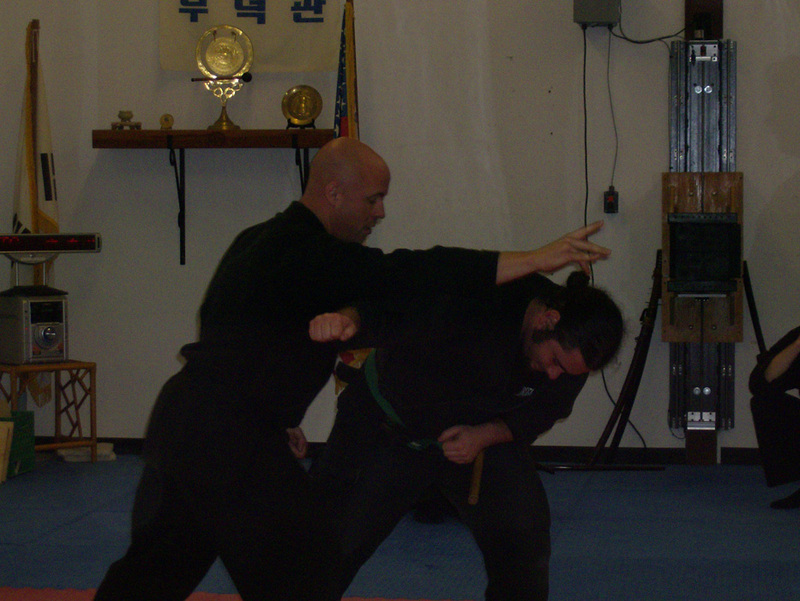 Unlike Karate, Tae Kwon Do, and many other modern martial arts, Ninjutsu is non-competitive. Ninjutsu is based on defense of self and others, and prizes humility, restraint, and evasion of conflict more highly than engagement in actual confrontation. Consequently, Ninjutsu teaches real-world, combat skills designed to protect when facing inevitable harm. 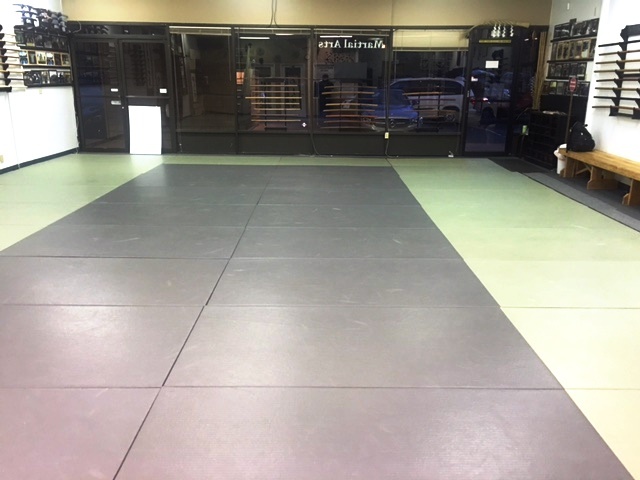 These skills embody the intricacies of distance, space, and time, and have been handed down from generation to generation by the first Ninjas of Japan. For all these reasons and more, Ninjutsu is the most effective, pragmatic, and well-rounded martial arts system in the world. In fact, the United States Army Special Forces has incorporated Ninjutsu into their training program. Workshops for Women ~ Self Defense Basics. 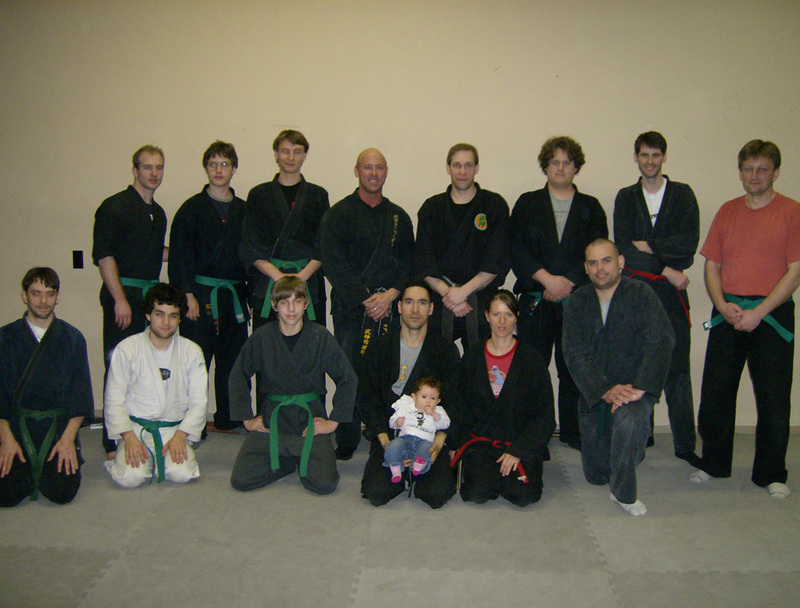 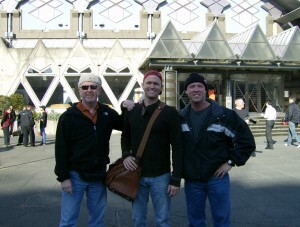 These are done at the dojo or can be scheduled to specific group needs and location. Have you encountered someone walking behind you to your car? Learn how to prevent a confrontation and stay safe! Learn how to ward off an attacker and protect yourself! 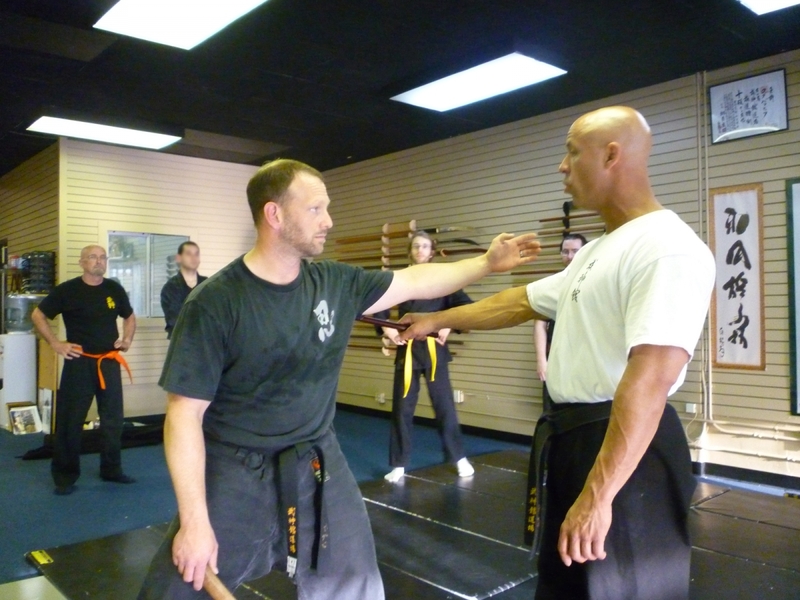 Learn how to apply practical defense skills in real life environment in and around your car! 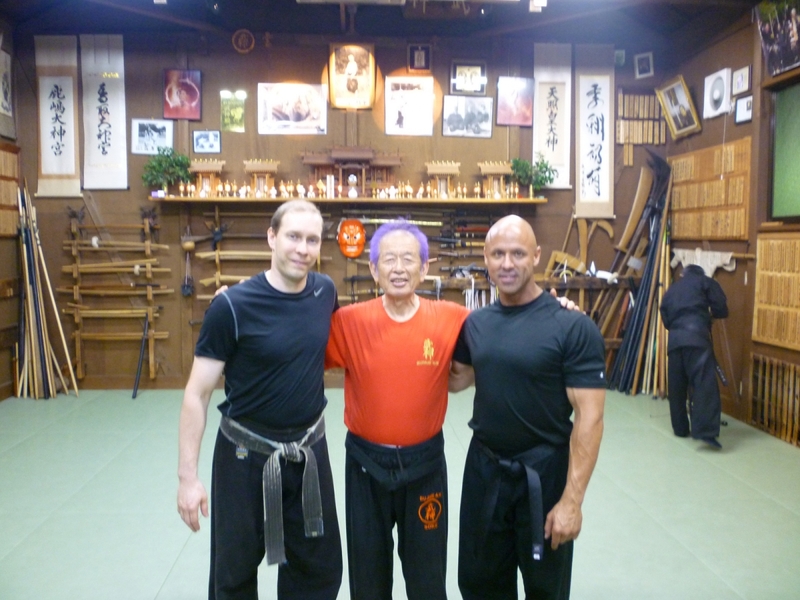 To contact Northwest Bujinkan, please use the information below.